This Best Digital Marketing tools 2019 list is a very useful resource for marketers and business owners who are looking for better ways to design, plan, execute, report and measure their Digital and Social Media Marketing strategies. If you know about a great tool, please let us know is the Facebook comments box at the end of this article. Do not forget to pin or bookmark this list so you can find it easily in the future. If you want to compare any of the below tools, use Trust Radius for software comparison, it will give you an indicative of what real users think about those tools, platforms and software. WHAT IS AN ENTERPRISE DIGITAL MARKETING TOOL? If you’ve spent any time reviewing or shopping for a digital marketing technology, it’s a safe bet you’ve encountered an “enterprise” version of almost every platform or tool on the market. For marketers, looking to add new capabilities to their tech stack, “enterprise” has a very real meaning. Its synonymous with robustness, continual innovation and improvement and – importantly – security, flexibility and scalability. Unfortunately, many platforms out there see “enterprise” as merely a positioning tactic. Slapping “enterprise” in front of your brand name is a cheap way to leverage the attention of marketers with real challenges. For those digital marketing tools “enterprise” often just means “expensive” and nothing more.What should you look on an enterprise digital marketing tool? Security – Safeguarding your company’s data should be a top priority for every organisation. Most large organisations will already have data management and privacy policies in place. To comply with these policies, enterprises often need their digital marketing tools to have access management controls and authentication systems. Scalability – The larger the organisation and customer base, the greater the demands on their systems. Enterprise marketing teams need to know that any technology they’re adopting can handle current and future system demands with minimal maintenance and administrative oversight. Is it easy to expand usage to new users or regional divisions? Will it be agile enough to seamlessly integrate with our other digital marketing tool stack? Flexibility – Enterprise challenges are constantly evolving and new technologies are emerging to solve these problems, so it’s critical to build a digital marketing stack that will be able to accommodate and play nicely with any new system you may need to integrate in the future. 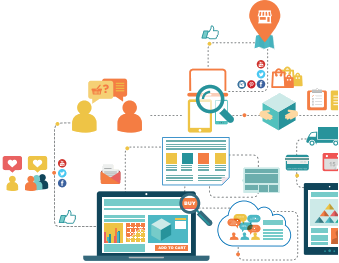 Different digital marketing tools that can easily connect and communicate with one another can optimise workflows to increase productivity and data visibility and insights. ACTIVE CAMPAIGN Over 75% of consumers will abandon a cart while shopping online, but sending an abandoned cart reminder email can help bring more than 10% of them back to purchase. You can set how long ActiveCampaign should wait before triggering abandoned cart automation. This plugin is available for Shopify and Woo-commerce. ADWORDS CLICK IDENTIFIER. Discover Who Clicks on Your Ads. With the new AdWords Click Identifier, in just one click you can freely access all the companies that have clicked on your AdWords’ ads. 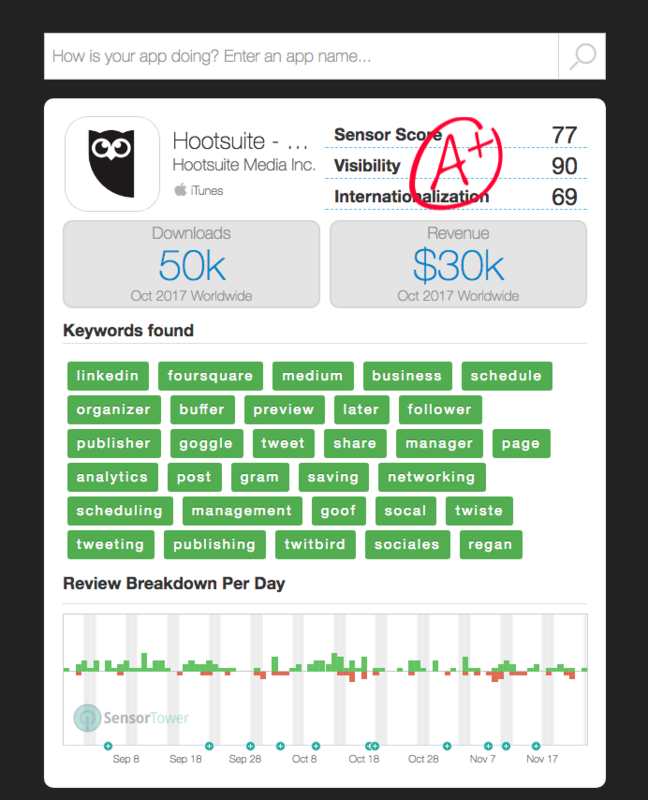 The new tool reveals detailed information about the businesses that have interacted with your ads including company name, website, address, phone number, contact and email information as well as the keywords searched and the advertisements that were clicked on. The AdWords Click Identifier helps you understand, optimise, and streamline your best-performing ads and provides unrivaled data about the hottest leads that are interacting with your ads and website. Price starts at $75/month and get leads sent directly to your inbox. 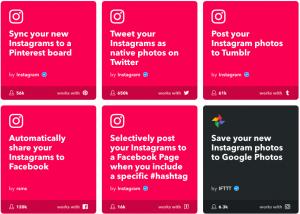 IFTTT is a free platform that helps you do more with all your apps and devices. (if this, then that) is the easy, free way to get your apps and devices working together. As an example, the below screenshot shows free and easy integrations you can do for your Instagram marketing. MuleSoft provides the most widely used integration platform (Mule ESB & CloudHub) for connecting SaaS & enterprise applications in the cloud and on-premise. MuleSoft is a software company headquartered in San Francisco, California that provides integration software for connecting applications, data and devices. MuleSoft’s Anypoint Platform™ is the world’s leading integration platform for SOA, SaaS, and APIs. MuleSoft provides exceptional business agility to companies by connecting applications, data, and devices, both on-premises and in the cloud with an API-led approach. By leveraging Anypoint Platform, companies can re-architect their SOA infrastructure from legacy systems, proprietary platforms, and custom integration code to create business agility. They can migrate technology infrastructure to the public or private cloud and prioritize adoption of SaaS applications and other cloud technologies. Mule ESB, CloudHub iPaaS, API Manager and over 120 SaaS and on-prem connectors are the building blocks of the only unified connectivity platform for integration that allows companies to deploy their integrations in a hybrid environment, connecting to both SaaS applications and on-premises systems seamlessly. Zapier makes it easy to automate tasks between web apps. . Zapier enables users to connect the web apps they use to move data between them; and use event-based automation to avoid repetitive tasks. Users can find based on different categories such as billing, accounting, and invoicing; bookmarking; CMS; CRM; charting; and customer support. Triggers, Searches and Actions are the building blocks that power your integrations. Triggers watch for events in your apps, then kick off a sequence of Searches and Actions. Searches look up existing data, and Actions create new items. These combos—called “Zaps”—complete your tasks automatically. You can also try using one Trigger to send multiple Searches and Actions into motion. Multi-Step Zaps help your apps work in harmony. The below screenshot show some examples on how you can automate your LinkedIn marketing using Zapier. This extension shows detailed app store analytics, including information about category rankings, competitors, review summaries, and downloads. In addition, you can also track and optimise your keywords rankings. This tool enables you to export your app’s reviews on Google Play into one JSON file. The extension gathers information about the number of stars, version of the application, comment’s author, date, time, title and text for any given review. In the app world, attribution is not as developed or granular as on the internet. This is particularly important for certain verticals, such as e-commerce, where users are far more likely to shop and make purchases with tablets than with smartphones. Tablets, as a percentage of total transactions in the mobile arena, are growing fast. So advertisements or affiliate campaigns through the web or other native apps will need reattribution so that e-commerce store owners pay the proper commission. For this reason, app analytics and business intelligence companies need to offer publishers reliable re-engagement attribution or and reattribution capabilities as this is a task that few app publishers can take on themselves. Doing this well means that every session is monitored and each click tracked to ensure third-party attribution or to confirm the success of re-engagement methods. This is a technical nightmare as the magnitude of sessions and clicks will be in the hundreds of millions for a standard app. Attribution is generally achieved through the use of unique page URLs that reflect the origin of the visitor, or through cookies. A user clicks on an advertisement at CNET for a new MacBook laptop, for example. The ad sends the user to BestBuy. The user buys the MacBook. BestBuy knows that user came via a CNET ad and not, for example, via an ad on Gizmodo. For mobile, the attribution is assigned when an app is installed. Installs used to be the standard metric for conversion. This worked when installs was the primary measurement of success. But now that we are moving away from the install as the conversion point, to events as the conversion points, it is crucial to attribute users to the source that persuaded them to re-engage with an app. In the case of re-engagement campaigns, since the app has already been installed and each user attributed to a particular source at install, they need to be reattributed to see what campaign or creative the user came from this time around. Campaign Wizard: ​marketers have complete control over the attribution rules they put in place with the networks and publishers they work with to find their users; they can change attribution windows for different campaigns down three levels of granularity, all with the same partner. They can also turn fingerprinting on or off, expand or retract inactive user definitions for retargeting, and send or receive cost information. Native LTV​: marketers are able to see the complete lifetime value (LTV) of the original marketing source that drove an install, regardless whether the user is also re-engaged through other sources, as well as the LTV of any new re-engagement source. Dynamic Attribution​: marketers can assign the amount of time a user can be attributed or re-attributed to an advertising source, giving them more control over their internal logic on how they calculate and measure LTV and customer acquisition costs. Attribution, which is the art of connecting an conversion to its source, is a critical component of determining the return on investment of any marketing campaign. If you cannot attribute user actions to a specific campaign or creative, you cannot track their behavior to understand whether a marketing campaign re-engaged any existing users. Marketing data specialists for any data maturity stage. Datalicious is a global data analytics agency that helps marketers improve customer journeys through the implementation of smart data-driven marketing strategies. Datalicious specialists offer a wide range of skills applicable to any challenge including web analytics, data engineering, media mix modelling and multi-touch attribution. Datalicious offers products and services – such as the OptimaHub, SuperTag and Google 360 Suite – for businesses at any data maturity stage, whether you are just starting out and need help with your overall data strategy or are more advanced in your data analytics journey and are looking for specialists in marketing attribution and predictive modelling. Rakuten Marketing provides its proprietary attribution and insights platform, Cadence, to all clients so they are empowered to maximise their digital investment across devices with complete transparency. Cadence enables marketers to see the influence “display” impressions have had on site visits via other channels further along the user journey. This sophisticated approach to performance marketing measurement enabled marketers to understand the impact of their display campaigns in a uniquely accurate way. It provides insights not only into the performance of the overall display activity but also into the performance of the individual strategies being trialled at the same time. Check out Rakuten Feb 16 Webinar presentation about attribution (pdf document). Acxiom is an enterprise data, analytics and software as a service company that uniquely fuses trust, experience and scale to fuel data-driven results. For over 40 years, Acxiom has been an innovator in harnessing the most important sources and uses of data to strengthen connections between people, businesses and their partners. Utilizing a channel and media neutral approach, we leverage cutting-edge, data-oriented products and services to maximize customer value. Every week, Acxiom powers more than a trillion transactions better marketing results for 7,000+ global clients. Using what you know about your consumers, Kahuna uses cross-channel messaging and artificial intelligence to send highly personalized messages and automate decision-making for you. Kahuna platform knows which messages to send to each individual consumer – and at which time and on which channel & device – increasing the chances that they will engage with the messages and that you will hit your marketing and conversion goals. 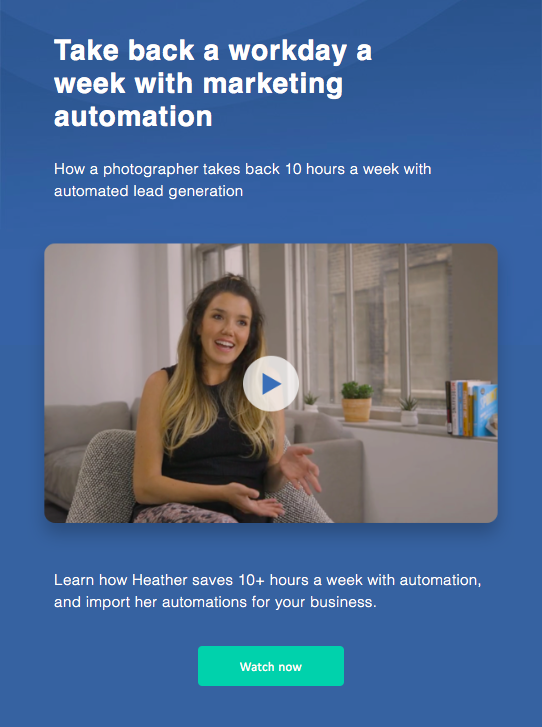 Learn how other e-commerce businesses use marketing automation to build their brand, sell more stuff, and stay connected with their customers with MailChimp’s free marketing automation features give you the power to stay connected with customers while removing manual tasks from your to-do list. To help you get started or ramp up your efforts, MailChimp has developed a series of educational resources that cover every aspect of automation. They’ll explain how it works, how you can combine different automations types, and everything in between. The challenge is you have so many providers to choose from – HubSpot, Autopilot, Drip, and Marketo, to Act-On, Eloqua, and more. And with so many options, we really don’t have the time to personally evaluate them all – or sort through biased sales pitches. Ops.tv interviewed 100+ industry experts to learn the nuts and bolts of every marketing automation provider in the market today and created this Free Marketing Automation Buyer Spreadsheet! Ops.tv is an independent community of top sales, marketing, and customer success executives, you’ll get a raw, unbiased look at what these providers actually offer. This way, you can choose the solution that meets the unique requirements of your business. From which providers are most cost-effective for your company size, to which ones have the CRM or other integrations you’re interested in, to which ones can segment based on the criterion that are most important to you. Search for the latest brands banners ads if you need some banner layout or design inspiration. Offers a call tracking product that allows you to record and track calls in Google Analytics and AdWords the exact same way as you would track regular traffic. Simple installation, it offers a no-cost white-label portal, wholesale options. This is a Multi-touch Call tracking and Marketing Attribution tool for your forms, phone Calls, live Chat & eCommerce integrated with your CRM. Pricing starts at 99 euros per month. How to use “story telling” to inspire more giving. Charity: Water – Case Study – Raising $260 million in 12 years. MindBody is a studio management software for yoga, pilates, personal training, dance, martial arts, spas and salons. Use this tool to acquire, manage your customer appointment schedules and payments. Contact us to show you a demo. Do you have to many extensions installed on your chrome browser?. Don’t want to overload your chrome browser and easily gather and manage all your chrome extensions with Extensity. You can hire journalist for very specific article assignments. Promote your blog posts, articles, infographics, videos, slideshows, podcasts, press coverage, third party reviews and other earned media in other highly relevant websites and news portals. Outbrain does not accept home pages, self promotional content, adult content or content with misleading advertising techniques. Targeting options include: target audiences by country, by platform (mobile, tablet, desktop), publisher blocking and KPI optimisation. Unlike traditional A/B testing solutions, Ascend lets you test all your ideas at once, actively finding top performing concepts and combining them into winning site experiences. 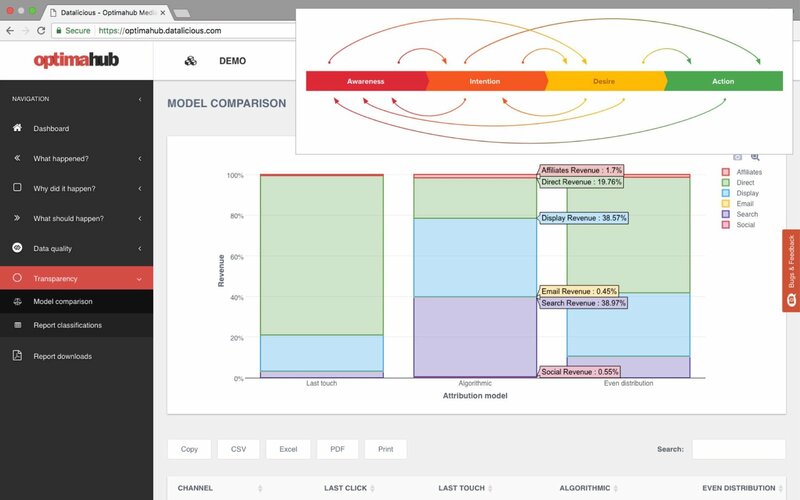 It compresses years worth of testing into a month by combining high-level AI with your team’s creativity. Key features: Test entire journeys in a single experiment. Individual pages in your sales and lead generation funnel can influence each other and Ascend, uniquely, allows you to test tons of ideas across multiple pages. That means you can evaluate an entire journey in a single experiment as opposed to multiple individual tests. Powered with artificial intelligence. Ascend leverages evolutionary algorithms and Bayesian statistics to evolve winning website designs. It identifies promising concepts, combines them with each other, and rapidly repeats the process to evolve the designs that convert best. Real Time Insights. Ascend lets you test far more ideas than traditional A/B tests. Our dashboard lets you see which combinations of your ideas are providing the most uplift—and which aren’t—all while teaching you about your customers in real time. 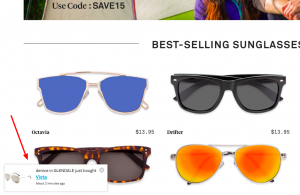 GROOVEJAR Pop-ups that don’t get X’d out, but help marketers, business owners and entrepreneurs collect more emails for their e-commerce business. GrooveJar’s set of customisable pop-up tools allow website owners to streamline their website and lead flow. 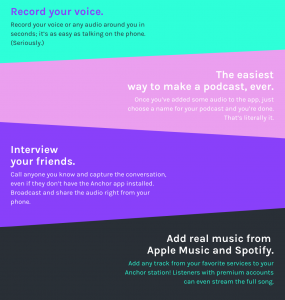 8 different apps, endless ways to use them. Conversion rate optimisation software that swoops in to recover abandoning visitors and turn them into customers. Exit-intent technology tracks your visitors’ mouse movements, serving up offers when they stray from your critical path. Customisable design templates let you optimise your offers on the fly, no development needed. Your most valuable customer segments are shown through real-time data about visits, impressions, and conversions, giving you insights of the offers that makes your take action. 401 Ridiculous Power Words to increase conversions by Summo. collects email addresses once users get to your shopping cart and if they do not complete transaction, the tool sends automated email reminders for users to complete purchase. $10/month by Feb 2016. Yieldify tracks your visitors’ behaviour and serves personalised content on-site to give them a reason to stay and convert. This is a tool that can help you protect your content and monitor for infringing works. Copyscape offers a free plagiarism checker to search for stolen content. It helps you double-check that no one has stolen your content. Just plug in a URL for the content that you believe has been copied and Copyscape will let you know if any copies have popped up. You can ask google to remove copyright material from their web search results. Fill in this Google Infringement Notification, if Google accepts the request, they’ll remove the content from their search results. Not only will this affect the particular page of stolen content, but it can also impact the entire site’s SEO potential. Why You Should Tell Your Origin Story and How to Do It. creative professionals and designers who can do small tasks for just $5. Crowd sourced creative ideas and videos. database of best advertising and marketing ideas and strategies from successful brands. The only 7 plots a marketing and advertising story can fit in to be memorable. Kahuna helps you to better understand and build strong, lasting relationships with every consumer, through personalized messaging at scale across a variety of channels—email, app & browser push notifications, web & mobile in-app messaging, and SMS. The result? Your campaigns feel less like campaigns and more like conversations. Kahuna tracks every consumer and unifies their behavior across mobile, web, and multiple devices. Our platform’s ability to track consumer behavior across channels and in real-time enables you to make smarter marketing decisions based on what you have learned about that consumer. Using what you know about your consumers, Kahuna uses cross-channel messaging and artificial intelligence to send highly personalized messages and automate decision-making for you. Our platform knows which messages to send to each individual consumer—and at which time and on which channel & device—increasing the chances that they will engage with the messages and that you will hit your goals. Outsource your customer service to Dream Support. Smooth training and on-boarding. An experienced support guru and a tech geek will supervise your new team player and back him up. Convenient integration: the support process is integrated into your help desk. Regular reports based on customer support success metrics. Multilingual speakers: English, Chinese, German, Russian and other languages your customer might need. GDPR legislation notice of the regulation was released in April 2016 and comes into place on 25th May 2018. Companies need to start putting their plans in place to address this new legislation. GDPR is a new EU regulation that was put in place to strengthen data and privacy rights for EU individuals. This new legislation applies to all publishers, websites and content owners. The GDPR not only applies to organisations located within the EU, but it will also apply to organisations located outside of the EU if they offer goods or services to, or monitor the behaviour of, EU data subjects.” – read more at the GDPR website What are the key takeaways for marketers? Ghostry to see what data is being collected from your site by your partners. SimilarWeb also have a free tool that publishers can use. Find out what banner ads your competitors are using at this moment. Great tool to find high impact banner ad creatives. Moat is a cross-platform analytics and measurement company that offers viewability, attention, and brand safety solutions across display, video, mobile, and more. Moat focus on making brands and publishers more effective. From real-time attention metrics and intelligence to cross-platform measurement and new currencies, Moat offers solutions that make branding and storytelling work better. Its products include Moat Pro, which provides users with detailed snapshots of ad activity on the web, and Moat Analytics, a measurement platform that goes beyond traditional metrics like impressions or clicks to focus on attention. Moat was acquired by Oracle in 2017 and remains an independent platform within Oracle Data Cloud, which uses data and analytics to enhance media for leading marketers and publishers. The largest brands and publishers – such as Twitter – rely on Moat as a trusted partner. DYNAMIC PRICING Consulting. eDigital is offering free consultation sessions to online retailers on how to implement dynamic pricing and alert online visitors when products they are interested in drop in price or are restocked. The end goal is to have the shopper complete the purchase as a result of these type of notifications/alerts. These alerts make it possible for retailers to re-market to their customers to improve the likelihood of checkout. Abandoned carts are a major problem for online retailers. Approximately 72% of online shoppers are likely to abandon their carts and only 8% will return to make the purchase. Reduce cart abandonment rates and set up dynamic pricing and alerts today, contact us! The Guide to Dropshipping with AliExpress. Eventbrite allows you to promote, manage the registration and selling of your tickets in a very efficient manner, while giving your customers, multiple options to buy your tickets from both desktops and mobile phones. Find out more. Wunderlist – Great app for managing multiple work projects, including events. Evil Brain Extractor Sometimes you have a massive email list that you need to add commas to it, then this is the tool! 🙂 This tool was very useful when I wanted to send Airbnb invitations to all my contact list (over 10.000 emails). The problem was that when copying all the email addresses into the Airbnb “invite” box, it could read each email address as it did not have a “comma” between them. This tool helped me to easily add a comma between each email address and then being able to send successfully all my airbnb invites. I did it in clusters of two thousands – just in case – . So far sending the Airbnb invites to all my contacts have worked pretty good as it has given me more than $2k in travel credit :). Remember that Airbnb credit will be burn only for reservations value at more than AU$75, meaning if you book accomodation less than AU$75 you will not burn your travel credit. PD: i got over 4k Gmail contacts, Airbnb says it is too many to invite. so needed to export them out from gmail to excel, then add the commas and do the same exercise explained below again. Pinhole creates explainer videos that get your brand noticed. They work in animation (great for company or product overview video), live action, website explainers, salesforce videos, silent videos and everything in-between. Unique Easily get fonts that you’ll never see anywhere else. Jungle Scout find profitable Amazon product ideas, get sales data & estimates, and more. Make more money online. Free trial. Salehoo. The SaleHoo Market Research Lab lets you research products and see if they’ll make you money before you buy any stock. Using a wide range of data the tool can show you sales trends, competition stats and ideas for hot new niches. 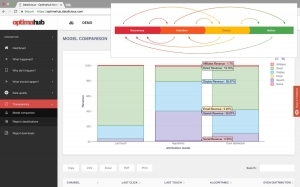 You’ll be able to make your business decisions based on real data, not guessing. TeraPeak Find the best selling items on eBay and Amazon. Sleeknote a lead generation tool, that let digital marketers create personalised slide-ins and pop-ups. Wufoo create contact forms, online surveys and invitations and collect the data, registrations and payments. PARCELPOINT ParcelPoint is the Click & Collect and easy returns specialist for online retailers. One of Australia’s largest collection point network, where online shoppers can pick up and return their orders 7 days and after-hours for maximum convenience. It can be integrated with your e-commerce platform and offers a seamless customer experience at checkout.Powerful returns management platform that combines all returns methods. FUNNELYTICS Want to really impress your boss, clients, investors, or senior executives? Show them exactly how your marketing funnel is going to make them boatloads of cash, using this easy-to-use funnel mapping tool. Did I also mention that it’s free? Great gif cropping tool if you if you quickly need to crop a gif so you don’t need to call your design agency. Yesware – One of the most popular extensions for gmail. The free version enables you to see who’s opened your gmail emails and provides a history of all activities. The paid version features Mail Merge which can help create campaigns, add follow-up letters, test different templates and track your results. Just Not Sorry – When sending an important email, it’s crucial to show yourself as a confident and persuasive person. However, common words like “just”, “sorry” and “I think” can reduce your impact. This chrome extension highlights “weak” words in your gmail emails and allows you to edit them before sending. How to invite people to add a review on your Google My business profile: You first need to find your Google CID number to be able to make a Google Review link you can share with your customers. Dynamic Creative Dynamic Creative is a Google shopping provider that helps you set up and manage your Google Shopping ads. Prices start at $125/month. How to Use Medium: The Complete Guide to Medium for Marketers. HTML Colour Codes Find the html colour code on an image. IP SHARK Stop online counterfeits & unauthorized resellers, fast. Free Setup. No Contract. LunaPic: make an image background transparent. it will save it as gif. If you need it png, then you can use “Online Convert” above to make it png. 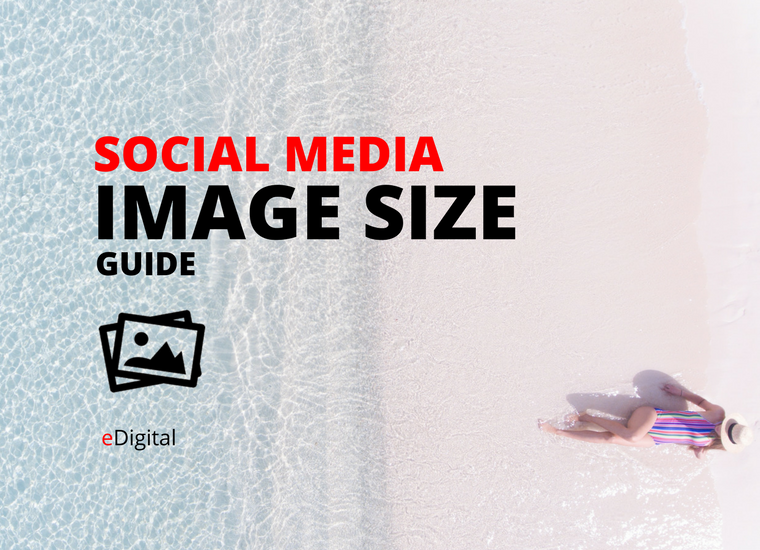 Infographics are an essential element of any social media marketing strategy. They not only boost engagement and increase the social share, but also help in getting more backlinks. Although marketers understand the importance of infographics, many use only a few infographics a month. This is mainly due to a perceived high investment required to create perfect infographics. Below are some of the best infographics tools which can be used to create professional infographics quickly. Some of these tools have an option to create free accounts with limited usage. Outgrow Plans start at $45 a month for freelancers. Great way to increase leads. Spyber: Need to find where a ISP/IP is located? ADSL2Exchanges: Need to find where Australian Exchanges are located? Pronto chat Pronto chat is a live chat platform for your website 24/7 that helps you generate more more leads and conversions by proactively engaging your website visitors. Pronto chat agents use customised chat scripts when talking to each visitor and capture visitors contact details and the exact service that they are interested in. At the end of each live chat session, the transcript will be sent via email. Logo Maker Shop App. Free text and graphic design creator on itunes. Issuu. Find some of the most popular digital marketing magazines, digital marketing reports and presentations. Cresco Data Cresco Data removes the pain and complexity of managing multiple shopping comparison engines (SCE), shopping portals, market places and Product Listing Ads (PLA). Cresco Data will ensure your product inventory is displayed across the widest range of digital channels and localised for each market. The Cresco Data platform will create and manage master product feeds ready to synchronise across multiple marketplaces. No lick Music five brand new no copyright tracks every week! great music tool you can use for your digital marketing campaigns. COLLABOSAURUS Collabosaurus connects your brand with other, complementary brands for powerful strategic partnerships and marketing cross promotion. The Collabosaurus algorithm ‘matchmakes’ your brand with businesses that have similar target markets, who are able to help you achieve your marketing goals (and vice versa). Collabosaurus cuts down the research, reach-out and negotiation time it takes to source partnerships the old-school way. Different Factors: Collabosaurus differentiates itself through offering collaborations and brand partnerships across events, social media and events. They also run regular events, workshops and online courses.Founders: Jessica Ruhfus. Featured on: the Daily Telegraph, The Huffington Post, News.com.au, Business Insider. Australian based company. Nusii is a proposal software that offers online proposal templates, open notifications, your own custom domain, proposal tracking, personal branding, automation and online signatures. Great for sales and marketing teams who want to quickly create and track every proposal to be sent to prospective clients. eReleases – Media Releases Tool. Key features: Custom US national PR Newswire distribution, Major media outlets, Subscribing journalists, Reaching journalists, reporters, bloggers, radio, television. If you have never used eReleases, you would be eligible to receive their “New Customer” Special. It offers our Buzz Builder package for $100 less than the standard retail value! So instead of paying $299 for a 400 word press release with 1 industry targets, you only have to pay $199! Writing is $100 off with the new customer pricing making it an additional $200. eReleases also offers this promotion in their Newsmaker (500 words, 2 targets) and PR Pro (600 words, 3 targets) packages. Writing is also $200 with these packages. Create Space: self publishing, indi publishing run by Amazon. Dimer Dimer makes it easy to publish your documentation, with a distraction-free writing experience and beautiful, handcrafted themes. Unanimous. I was blown away by their paper: “Swarm Intelligence and the morality of the Hive Mind“. It will be very interested to see how this tool can be applied for marketing decisions, real time group customer experience and satisfaction. Feefo: a consumer ratings and reviews platform. Allows to to invite customers to review your products and services, getting only genuine, verified reviews. Feefo partners with Google, Bing and Yahoo to provide reviews within SEO and Adwords campaigns. They can support photo and video reviews. Yopto: allows you to ask for reviews once users buy from your website via email (review form on the email which is even easier). Also Yotpo can create facebook ads with Facebook reviews which get 4x higher click-through rates. SendOwl SendOwl is a third party app that lets you sell all kinds of digital goods with Shopify. One of the biggest assets that SendOwl offers is that they host the digital products for you. Simply upload the file to their servers, choose the product to associate it with, and they take care of the rest. Whenever a product is sold using SendOwl, it automatically generates and sends a time sensitive download link to the customer. It’s all automated, and no daily management is required. Sky Pilot Sky Pilot lets you sell music, movies, pictures and more with your Shopify store. You can create custom pages on your store where customers can easily download, view, or stream files associated with all their orders. Customers can even log in to accounts and access any of their past digital purchases. Best of all, it’s all all instant and automated. Fetch Fetch was one of the (if not the) first ever Shopify app – pretty cool! Their digital download delivery service is flawless, and is used by many different Shopify store owners. All files are hosted with Fetch, and downloads are delivered to customers automatically. Downtown Downtown is one of the simplest, most powerful, and secure digital delivery applications for Shopify. One of my favourite features of Downtown, is that you can include provisional serial numbers in your digital download orders, as well as limit the number of download attempts per file. How to Script a High-Converting Sales Video by Digital Marketer Webinar $95. This webinar facilitated by Ryan Deiss will help you understand the structure and pattern of a great high converting sales video. You will learn about video sequence, opening, tone , flow, persuasion, fascination, call to action, duration, production and load speed. Infobip: allows you to automate the process of sending SMS, push notifications, email, phone and chat to your customers; ensuring you’re reaching out to customers at the perfect time by setting up Zaps to auto-send Infobip messages based on new customer data in your favorite apps. Examples of things you can do: Get SMS messages from Infobip for new successful sales on PayPal, get or send SMS messages through Infobip for new WooCommerce orders, Send information about new rows on Google Sheets with Infobip SMS. Voodoo SMS offers bulk SMS messaging in the UK to companies interested to keep top of mind via sms marketing. Voodoo is a cloud-based platform that is used to easily send text messages to your customers. It allows you to tag your messages and access delivery reports that can be used to optimise future messages. It can be integrated with other tools via Zapier. Fomo ⚡ eDigital recommended ⚡ Fomo publicly displays what other website visitors are doing or completing on your website to help you increase sales and conversions. By using Fomo, your web visitors will be curious about what others are doing, completing or purchasing while instantly establishing trust and credibility by showing off the interactions the moment they happen. F.O.M.O. (fear of missing out) means people will want to interact and buy as they see other people also interacting and buying from your website. You can also use Fomo to display activities in more than 750+ apps you might be already using via Zapier integrations. This means you can broadcast and display your actions from internal tools or promote your customer engagement so everyone knows how much people love your site. ROKT Get the max return on investment every time a customer completes a purchase or engages your marketing offer using Rokt’stransaction marketing platform. Below is an example of a Rokt widget once a user completes a purchase at Kogan website. Social Media on steroids. Track all the people who clicked on your link on social media and retarget them on ad platforms. Retarget your blog readers. Add a retargeting pixel when you promote your blog article on social media. Add a retargeting pixel in links in the article itself. Influencers. When working with influencers, add a retargeting pixel to the links they share on your behalf. Use the pixel to build perfect custom audiences for future initiatives. Events platforms. Organising an event? Retarget everyone who clicked on your event link but didn’t sign up. Increase sign up rates over time. HR platforms. Retarget candidates who looked at your job listing but didn’t apply. Increase application rates. RageGrade by FullStory. Have you ever wondered just how good (or bad) the customer experience is on your website or app? Now you can find out. Rage Grade has a letter grade from A to C- that tells you exactly how your customer frustration compares to other sites like yours. Rage Grade is the next step in your quest to proactively detect and bring key moments of customer distress to your attention. In addition to a letter grade, you’ll also see the top 10 most frustrated customer sessions, letting you jump directly to the exact moments of rage in the session replays. Wondering how your grade is calculated? Rage Grade uses machine learning to analyse all the frustration signals generated by your users—things like Error Clicks, Rage Clicks, mouse thrashing, and form abandonment. RageGrade will tally up all these signals and benchmark your performance against your industry, so you know how you’re doing relative to the competition. Get your Rage Grade free during your 14 day Pro trial and see how you stack up! Xtensio An interactive toolbox for startups, consultancies and marketing agencies. Create user personas, lean canvases, one pagers. Geotribes Online type a specific post code and will give you an indication of the type of people living in that postcode. we tested it but gave us an error message. Advrtas: offers 360 ads and virtual reality ad video player for publishers. 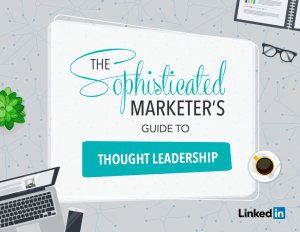 Australia’s marketers Guide to Creating un-skippable video advertising. How to make quick and easy professional videos for your marketing an social media. ScreenSpace enables app companies to create studio-quality 3D device videos easily, using browser-based realtime interactivity and the latest cloud rendering technology. Great if you need a video to launch your next app! BraveBison (former Rightster): helps Video Owners, Publishers & Brands get the Right Video to the Right Audience, on the Right Platform, at the Right Time. Viocorp. Enterprise level streaming/ live video platform. Clients include QBE, David Jones, Australian Government, Tedx Sydney, Virgin, Optus, HotelClub, Bupa, Amazon, Cebit Australia and others. Have you found an image to want to promote on your Instagram account but not sure what the element inside the image is called? then you need to use an image recognition tool or visual search tool. Great tool to find the name of birds, trees, flowers, dog types, etc. CAMFIND CamFind is a visual search and image recognition mobile app developed by Image Searcher, Inc. in 2013. Powered by their api, CloudSight, it allows users to identify any item just by taking a picture with their smartphone, providing a range of information including related images, local shopping results, price comparisons and web results. BuiltWith This chrome extension shows information about widgets, analytics, frameworks, publishing, advertising, standards and other technologies that were used to build any web page. Form Filler – This Chrome extension tool helps you fill all form inputs on any page with random data. You can test your own forms quickly, but you also may find it advantageous if you need to sign up for services that don’t have email validation. Also, you can predefine settings and fill out any form with your own data in a click. Learn how to create a new mac address on Windows and IOS so you can use unlimited internet access from time limited wifi hotspots. CONVERT CASE Convert txt to upper case or lower case. GRAMMARLY Avoid constant spelling and grammar errors when creating your digital marketing campaigns or social media posts you spent time carefully crafting. Grammarly is a free tool that flags everything from contextual spelling errors to poor word choices. HEMINGWAY EDITOR You want people to read what you’re promoting or posting on social media, right? The first step is clear writing. That’s where the Hemingway Editor comes in. This tool highlights sentences that are overly complex and gives suggestions for improvement.